Throughout the Star Wars series one can find countless historical and social science references to our world. 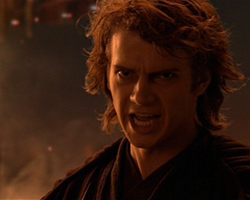 Whether it's Anakin battling with his inner demons or Emperor Palpatine's "Hitler-esque" rise to power, you are certain to find new and exciting ways to make learning Social Studies more exciting! Use the tabs above to search for your desired content. In Vision of Hope, the Rebels discover a hidden message in a Holonet broadcast from Senator Gall Trayvis. In his message, Trayvis alludes to a meeting of Rebels in Lothal’s Old Republic Senate Building. As the heroes arrive at the Senate building, they realize the Empire has also discovered the secret meeting and will likely capture the defiant senator. In Vision of Hope, the crew of the Ghost learns that their beloved hero, Senator Gall Trayvis, is an Imperial double agent. Throughout warfare, double agents have been used to acquire inside information. A double agent is someone who appears to be loyal to one side (A), but is secretly working with the enemy (B) to spy on their opponent (A). Essentially, a double agent plays for both sides, but is only truthfully loyal to one side. 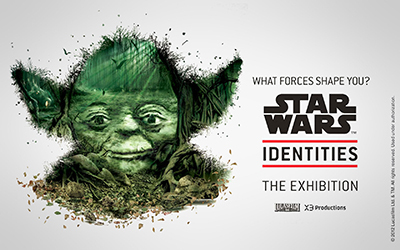 Be sure to check out Lucasfilm's latest travelling exhibition, Star Wars: Identities. This exciting exhibition asks the all important question, "What forces shape YOU?" Using the characters of Star Wars, learn how the people we meet, where we come from, and the choices we make define who we are. The exhibition includes interactive media where guests can create their own hero and see how the choices they make determine who they become. Thrilling props, models, and costumes from all six films are also featured in the exhibition. Learn more or plan your trip by visiting the exhibition's official website www.StarWarsIdentities.com. In this section you will find current event articles that relate social studies and Star Wars. Educators can use these current events to connect the events of Star Wars with the present day. The most recent social studies articles are shown below. The blockbuster final scene of "Star Wars: The Force Awakens" ends atop a spectacular mountain island with the heroic Rey (Daisy Ridley) extending a light saber to Luke Skywalker (Mark Hamill) for what feels like an eternity. But the scene leaves fans with many questions. Why does Luke look like he's been sleeping under a park bench for 30 years? Now that J.J. Abrams’ Star Wars original trilogy remix The Force Awakens has been unleashed, transforming a new generation of cinemagoers into Nick Winters at The Powder Room, fanboys have begun to dissect its myriad inspirations. We know, for instance, that like George Lucas’s initial journey to a galaxy far, far away, with its stormtroopers, Werhmacht-esque Imperial officers, and Triumph of the Will ending, the evil First Order of Abrams’s film was heavily influenced by the Nazis. So it’s a bit ironic then that Adam Driver, the actor who plays Awakens’ volumized villain Kylo Ren, is a former U.S. Marine. Nevertheless, the link between Star Wars and America’s Armed Forces extends much further than that. Regardless of the galaxy or the faraway land where your favorite piece of fiction takes place, the “otherness” that attracts you must be couched in a sense of familiarity. Decisions and struggles need to ring true in dual contexts — the narrative and the consumers’ brains — for a fantastic tale to resonate. This is the reason that fictionalized worlds have proven rich soil for social science academics. The Dark Knight and Harry Potter were researchers’ favorite touchstones over the last decade, but Star Wars came first — and proved academically relevant in a very different way. When thinking about Tatooine, we all think of Tunisia as the real-world location. As covered in part four of this series, however, certain scenes were filmed much closer to Skywalker Ranch then one might expect. In this final installment (for now) of Galactic Backpacking, we continue our trip trough the US to visit these other Tatooine locations, and even take a look where the infamous Star Wars: The Holiday Special was filmed! Ewoks and Gungans, love them or hate them, are hugely important to the Star Wars saga — after all, both races were instrumental in overthrowing an evil regime. In this first part dealing with the shooting locations in the USA we will visit the places used to create their homeworlds of Endor and Naboo.